With impeccable manners and a good attitude, Scottish Deerhounds are welcoming, warm and easygoing. While they are active and sporty outside, they are perfectly content to curl up on the couch after a long walk and snore the afternoon away. They crave attention and togetherness. When ignored or bothered, they sometimes let out a peculiar whining sound. 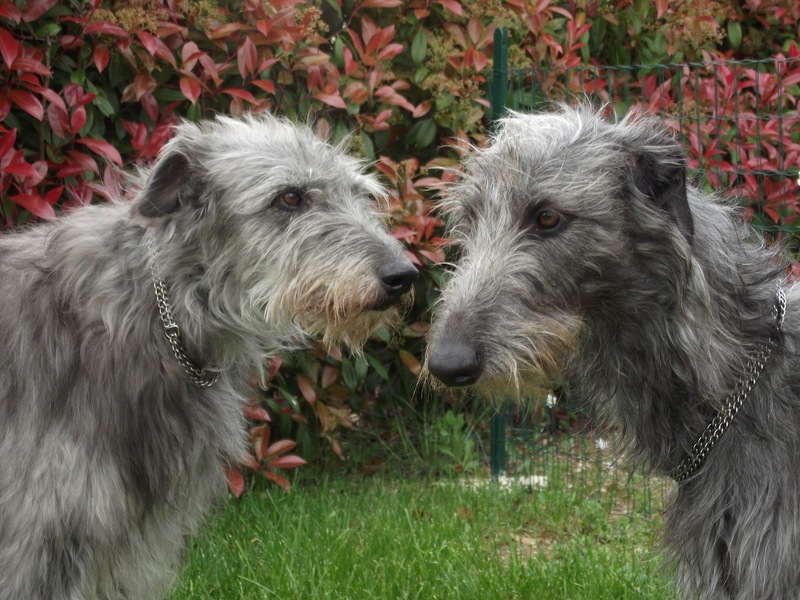 Just like the name suggests, the Scottish Deerhound originated from Scotland and was bred to hunt deer. A descendant of the Greyhound and kept only by high-class individuals in the 16th century, the breed nearly became extinct due to excessive hoarding. In the 1800s it was revived in England and shown in its first dog show. It almost became extinct again during World War I but managed to survive the era. And although there are still not many Scottish Deerhounds around today, the dog is said to stay true to its class and breed. 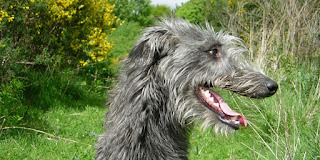 Other names by which the Deerhound has been called include Highland Deerhound, Rough Greyhound, and Scotch Greyhound. He is also known as the Royal Dog of Scotland. 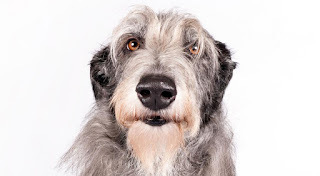 When you look at a Deerhound, you see a dog whose long head is broadest at the ears, with the muzzle tapering to the black nose, and adorned with a mustache of silky hair and a fair beard. The soft, glossy, dark ears fold back, raised up only in excitement. Dark brown or hazel eyes hold a keen, far away expression that softens when the dog is relaxed. The long, tapering tail is carried down or curved. 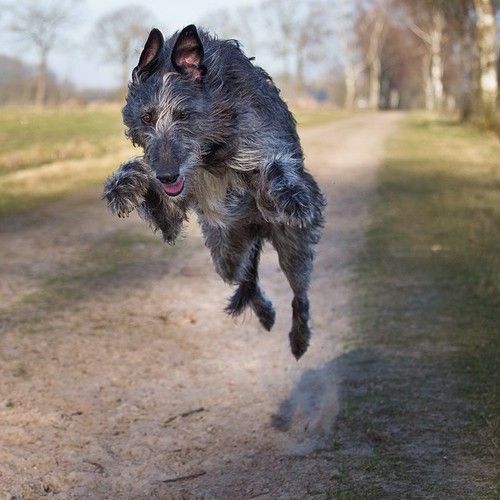 The Scottish Deerhound is the second-tallest of all dog breeds, after the Irish Wolfhound. He weighs between 70 and 130 pounds, with females typically being smaller than males. Scottish Deerhounds can do okay in an in apartment if they are sufficiently exercised. They are relatively inactive indoors. If they are taken for walks they can live without a yard, but they do best with a large, fenced yard. Deerhounds are moderately easy to train. They pick up new behavior quickly, especially when praise and food are the motivation, but some can be quite stubborn and simply choose to ignore the rules. The good news is that they are not particularly destructive or ill behaved, so a Deerhound who doesn't listen is easier to live with than some other breeds. Practice makes perfect, so patience is necessary, but even the most stubborn Deerhound comes around in time. When your Deerhound isn't listening, you should never treat him harshly. They are sensitive dogs who will respond to harsh treatment by completely shutting down. Polite praise and encouragement will help motivate him to repeat good behavior and abandon bad. Housebreaking can be a long process with Deerhounds. They don't respond well to crating, so as puppies, they require a lot of attention. Some owners prefer the breeder housebreak their dog before bringing him home. Deerhounds are athletes. They were designed to hunt deer twice their size, so they are built for stamina and endurance. They need several long walks every day and should be allowed to run whenever possible. 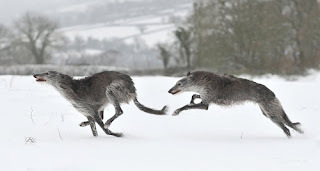 Joggers enjoy Scottish Deerhounds because they can keep pace on long runs. Though they are well behaved indoors, Deerhounds do not make the best apartment dwellers because they require a bit of room to move around. The Deerhound’s harsh coat is usually easy to care for, but some Deerhounds have a silkier, longer coat that can become quite tangled. Usually, though, all he needs is a good brushing with a pin brush or slicker brush two or three times a week. Give the coat a going over with a stainless steel Greyhound comb to make sure you didn’t miss any tangles and to comb out the hair on the face and you’re done. Only a few baths a year, when the dog is dirty, are necessary. The rest is basic care. Trim his nails as needed, usually once every week or two, and keep his ears clean and dry. Check the ears weekly for dirt, redness or a bad odor that can indicate an infection. If the ears look dirty, wipe them out with a cotton ball dampened with a gentle pH-balanced ear cleaner recommended by your veterinarian. Good dental hygiene is also important. Brush the teeth frequently with a vet-approved pet toothpaste for good overall health and fresh breath. Introduce your Deerhound to grooming early in life so that he learns to accept it willingly and patiently. 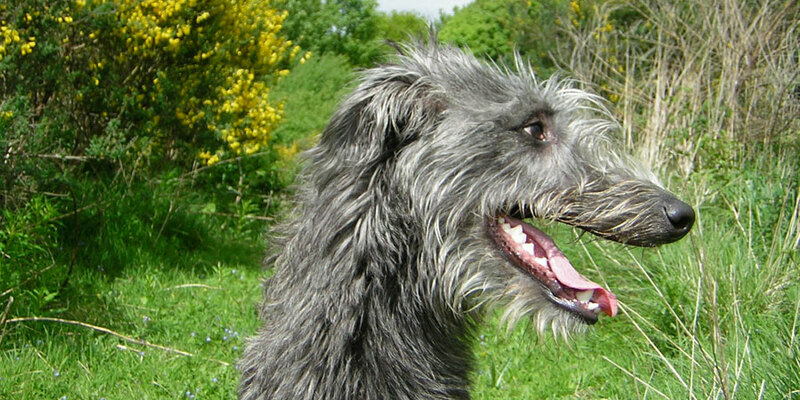 A very friendly and pleasing breed, the Scottish Deerhound is a wonderful family dog and companion. Docile and best kept as an inside dog with its own bed, it does well inside of an apartment but will need some space to stretch out and daily exercise. A sensitive dog, it can be shy with strangers but does well with other pets in the home. A natural born hunter, it may chase after animals unknown to it. 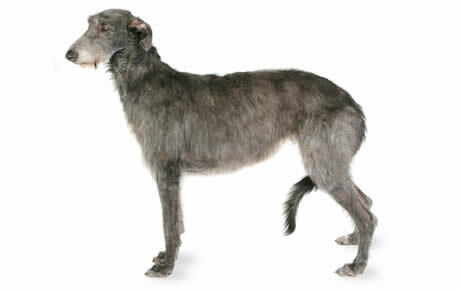 Requiring weekly grooming, the Scottish Deerhound is prone to calluses. Scottish Deerhound GCH Foxcliffe Hickory Wind made history in 2011 by becoming the first of her breed to win Best in Show at Westminster. 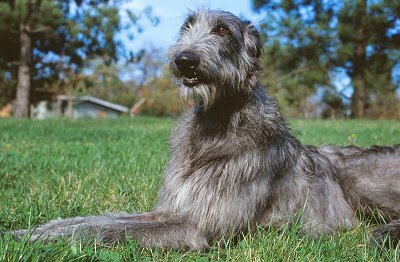 A Scottish Deerhound named Foxcliffe Hickory Wind won Best In Show at the 2011 Westminster Kennel Club Dog Show February 14–15, 2011. 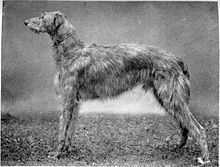 Maida was a cross-bred Deerhound belonging to Sir Walter Scott. Waking up to a run around the neighborhood, the Scottish Deerhound will then enjoy a nice breakfast with its family. 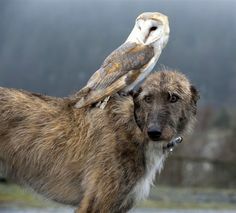 A watchdog, it will keep a good eye on the home while you are away, although it would prefer to stay in your company. After an afternoon nap, it'll run about the yard and chase after any four-legged visitors. In the evening, it'll snuggle up at the foot of your bed on its very own pillow.